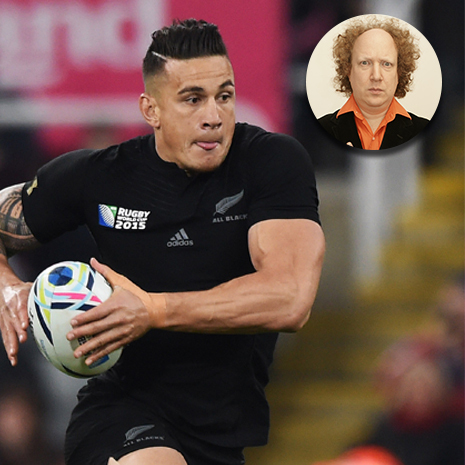 Stand-up comedian, Andy Zaltzman, reflects (painfully) on the Rugby World Cup so far. After 318 minutes of rugby nirvana, involving three fluctuating, tension-saturated dramas, and one peerless exhibition of majestic brilliance, which combined to create one of the high-water marks in the sport’s history, minutes 319-320 of the quarter-final weekend will be the most remembered. Australia, who had left no stone unturned in their efforts to lose a game in which they scored five tries and been frequently dazzling, went through. Scotland, after clinically exploiting the Wallaby bloopers but also playing with ambition, power and wit, went out. Referee Craig Joubert, in one of the most impressive clean breaks of the tournament, went off. Rugby is, essentially, unrefereeable. There is probably no participant or official in any sport who has to make as many decisions as a rugby referee, sifting through a constant deluge of actual, borderline and potential offences amidst the high-octane mayhem of 30 professionally-honed athletes/wrestlers/human-missiles hurling themselves into each other with the ferocity of a recently-divorced rhinoceros who has just seen his ex smooching a hippo. Plus a ball that bounces wonkily. All governed by a law-book (and amendments) (and protocols) that could make an international tax lawyer break down in tears and call for his or her mummy. It requires a mixture of hawk-like precision eyesight, 360-degree extra-sensory perception, military-grade reaction-time, the instantaneous judicial skills of a computerised Auto-Rumpole, the decision-making instincts of a fighter pilot without the associated glamour, and an instinct for which of the multiple simultaneous naughtinesses to overlook, and which to punish. Whilst both teams are trying to get away with whatever they can get away with. 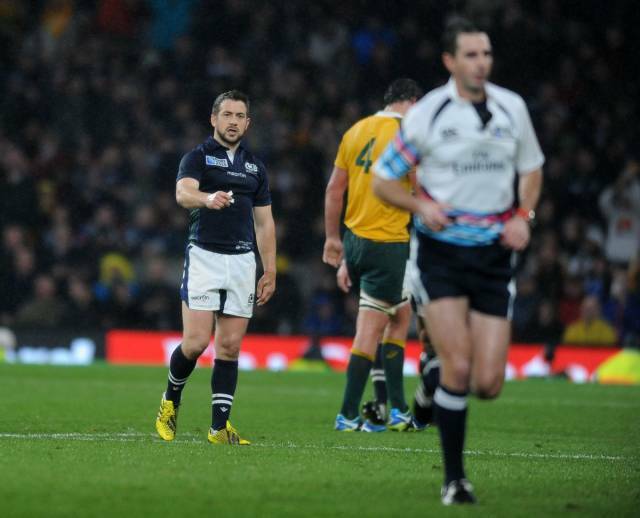 Laidlaw watches Joubert leave the pitch. If Joubert made a mistake, it was an understandable one. The decisive incident looked like a knock-on collected in an offside position, which would therefore have deserved a penalty. As the replays suggested this was perhaps not the case, Joubert was in a no-win situation. Ignore the TMO, according to protocols, and he would be vilified. Refer to the TMO, and he would be vilified. By different people. The uncriticised fly in all this highly-charged ointment – the law book itself, which punishes an instant fraction-of-a-second reaction to an unclear situation as if it were a deliberate act of heinous subterfuge. The offside law was, presumably, intended to be largely preventative, to ensure players could not kick the ball up the pitch to a waiting team-mate. Thus, a World Cup quarter-final was decided on a technicality, which would still have been unsatisfying even if the decision had been correct. The uncriticised fly in all this highly-charged ointment – the law book itself. After this World Cup, Rugby should treat itself to a long-overdue examination of how and when it awards point-scoring opportunities when no point-scoring opportunity has been prevented. Scrums 50 metres from the try-line into which the ball has yet to be put are a particularly idiotic occasion on which to give a team the chance to score 60% of a try; an attacking team slightly mistiming its decoy runs, crossing in front of their ball-carrier, and, without the defenders having even to make a tackle, should give up possession, but not a shot at goal. Perhaps a new grade of penalty, awarding the post-kick line-out but no allowing a kick at goal, could be introduced, or a 10-yard advance followed by a tapped free-kick. 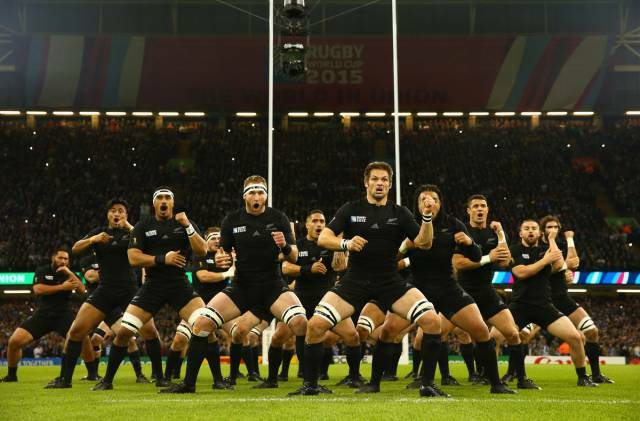 The All Blacks provided one of the most entertaining games of the Rugby World Cup on Saturday. All that said, the furore was considerably inflamed by Craig Joubert hot-footing it from the field within a microsecond of blowing his perhaps-embarrassed whistle. The rare sight of a South African running into space rather than directly into contact was followed by speculation over the cause of his flight. Did he have to attend the vital closing seconds of an eBay auction for that vintage commemorative porcelain Clive Norling figurine he had always wanted? The rare sight of a South African running into space rather than directly into contact was followed by speculation over the cause of his flight. Joubert’s run for cover did, however, look bad. He had called ‘scissors’ to reality’s ‘stone’. It was a minor error with major consequences. The look on his face as he watched the big-screen replays was the same expression you would expect to see on a tired President who has just buzzed through for a coffee before realising he has pressed the big red button instead of the intercom. I imagine. Some consolation for the Northern Hemisphere, as we examine our award-winning collection of ‘What-If’s. Our referees have definitely had the edge. Hooray. Argentina have kindly provided a blueprint for wound-licking northern teams wondering how to close the gap of the hemispheres. There is some hope for the North, amidst the disappointments, regrets, injury-bulletins, recriminations, leaks and general post-mortems. 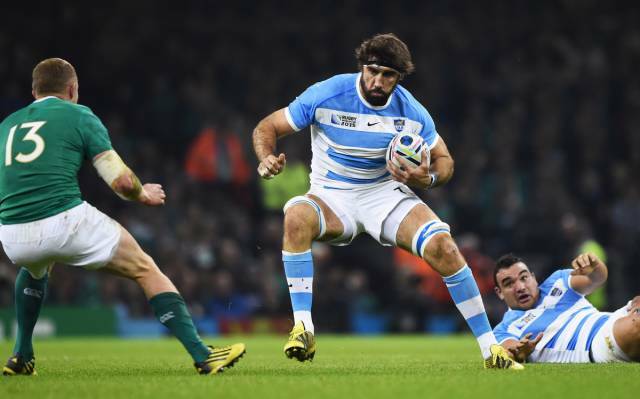 Argentina, by knocking out the double Six Nations champions in a joyous blur of daring brilliance, after overcoming Ireland’s magnificent recovery by trusting their attack rather than gambling on their defence, have kindly provided a blueprint for wound-licking northern teams wondering how to close the gap of the hemispheres. Aim high, take risks, back talent. They have done all this without a strong domestic league, without a marquee Antipodean coach, without recruiting players from elsewhere who qualify by having a granny who really liked Evita or by living in their country for a not particularly long time. We should remember also that the final day of the Six Nations uncorked a Jeroboam of attacking flair that the Northern Hemisphere perhaps did not even realise was in its cellar. “World Cups are won by defence” is a mantra often trotted out. It may have been apposite in the past, but, as England in particular discovered, it might be equally true to suggest that World Cups are often lost by teams who have neutered their attack in order to have the kind of defence that wins World Cups.